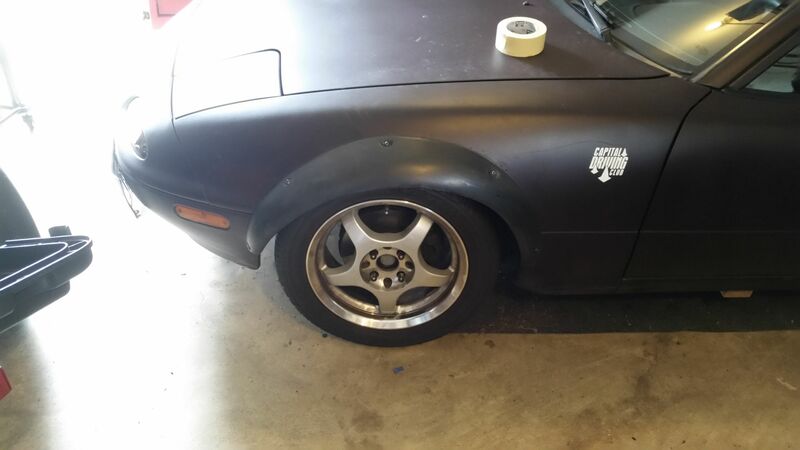 15x10 with 275 Hoosiers, help... - Miata Turbo Forum - Boost cars, acquire cats. 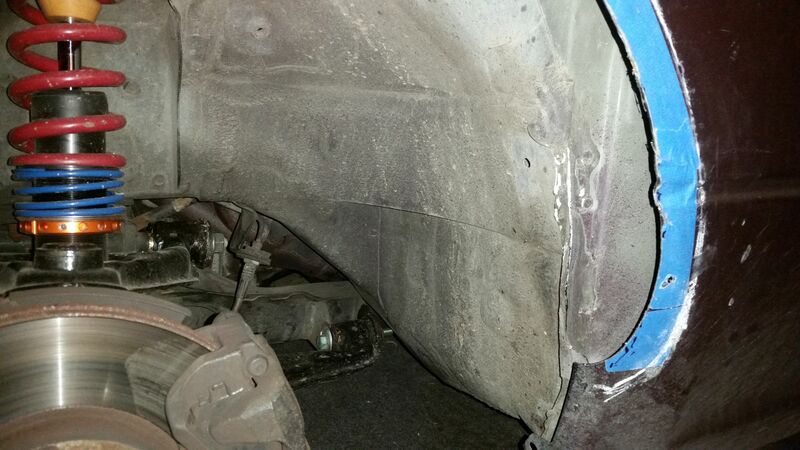 Ok, I've cut the fender to prep for fender flairs, put the tire on the car for fitment and it clears the fender, however, it is hitting inside the fender well. Any thoughts on best way to fix the issue. The tire is hitting where I have the white chalk marks on the inside of the fender well. Do I cut that area out, hammer it, other ideas? FYI, we run autocross with SCCA in the DP class, this set up will not be used on the street, we run 15x8s going to and from events. Anyway, I've got tire clearance now - yay. Now to finish up the job right with some proper paint then on to attaching the flares. Thanks for the help. Something not right there. Unless you mean its rubbing on there at full lock? Im in CSP and we can't take a hammer to the fender well if its inside the wheel mating surface plane. It might rub at full lock but by then there are other things rubbing like wheel to LCA or FSB. But it wasn't necessary to touch that area for me. Bent frame? Really low caster? 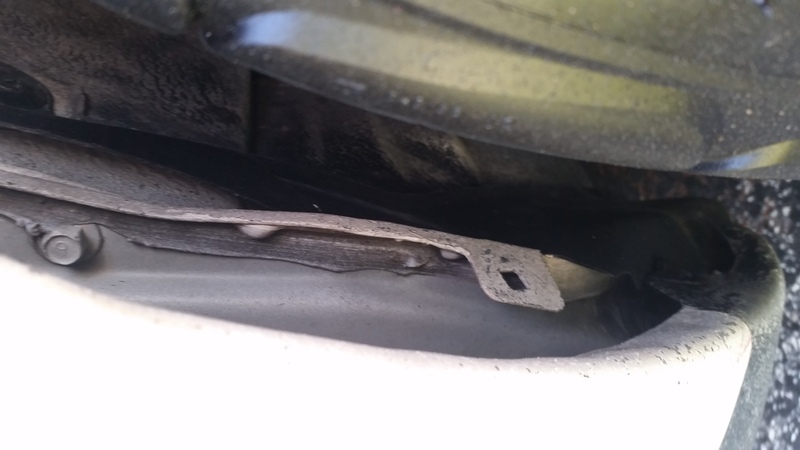 Yes, it was rubbing at full lock and perhaps driving it wouldn't have even been an issue, since you don't normally drive at full turn anyway, but we figured better safe than sorry. Both sides ended rubbing in the same place, so I don't think the frame is bent, but if it is, no matter. 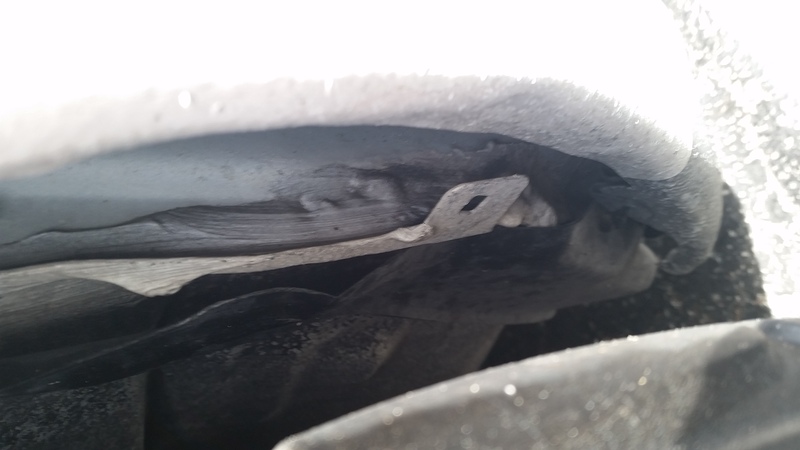 We've been autocrossing the car for 3 1/2 seasons and nothing has fallen apart yet. It's a dedicated AX car, only driven on the street to get to and from events. We run in DP - so almost anything goes - figure if I can hack-saw off the windshield, the shouldn't have a problem with a bit of hammering in the fender well. The entire interior was stripped out of the car before we even bought it, so CSP would require major unmodifications in order to run in that class. We are also not even close to nationally competitive yet, and the car is not built to DP standards (we could do a lot more to the engine and the body). Getting these Hoosiers on there is the next step up for us for the SCCA events on the larger lots. We will continue using our 15x9s with RS3s for the smaller lot competitions with our local clubs. We may eventually get a car built with a particular class in mind, but right now, we're still learning and aren't good enough for that to matter - yet. Anyway, I managed to get both fronts done with lots of trial fitting, grinding, re-cutting, hammering. I have at least 1/8" or more clearance in all rotation of the tires at stand still. I will be repainting the entire car once I get the rears done, but for now, my back needs a rest before I tackle the rear fenders. This is a picture of the completed front install, the tires are our street run-about tires, not the 15x10s with Hoosiers. Late to respond but figured what the hell. The area where you are rubbing is spotless on my car. So either you have something wrong/different on your car or mine is wrong/different. And since that area is outside the wheel mating plane it can be beat in according to SP rules. Obviously DP doesn't need that clarification. Car is a 95 with 949 15x10 and 275 A6, -3.3* camber, 4.8* caster, 4" height. Wheels rub shock tower and at full or almost full lock rub FSB or LCA. Oh BTW, the caulking must be from factory as I have it as well. So good chance your car hasn't been "repaired". If you rub there depends on offset. If you use the 949 offset you either need very long bump stops or to drive like an old man to not cord the tire in like 12ish runs on the shock tower. With like +12ish you will be fine by the shock tower with 36mmish bump stops but hit that pinch weld driving around paddock.